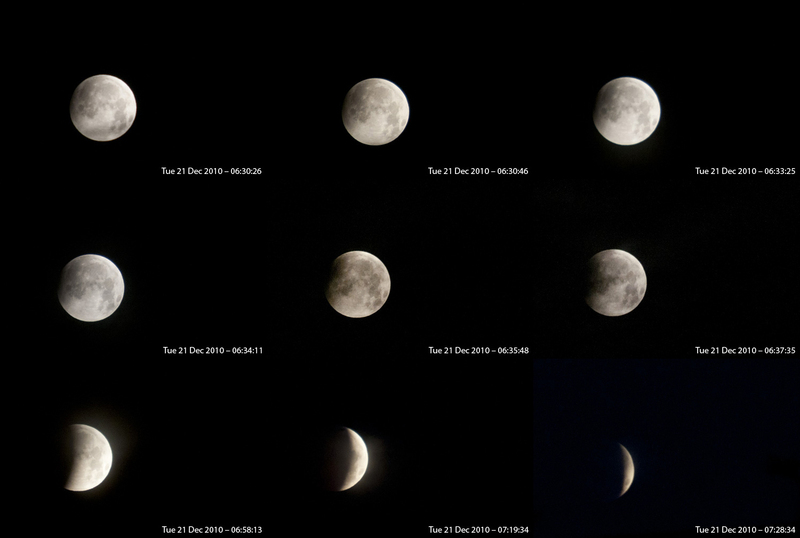 This is my take on the Lunar eclipse that took place in the early part of the winter solstice - Tuesday 21st December 2010. The first image is time stamped 06:30:26 through to the last at 07:28:34 when the moon was getting very low in the north east. I was out with my dog over the meadows and watched this taking place over about a 1 hour period in spite of the cold. No camera with me unfortunately, but these are excellent captures.